I’ve always enjoyed the visceral experience of eating with my hands. While it’s not quite the norm here in the West, but eating with your hands is a common practice in the Middle East, Africa and South East Asia. If you haven’t tried it, you’re in for quite a treat. 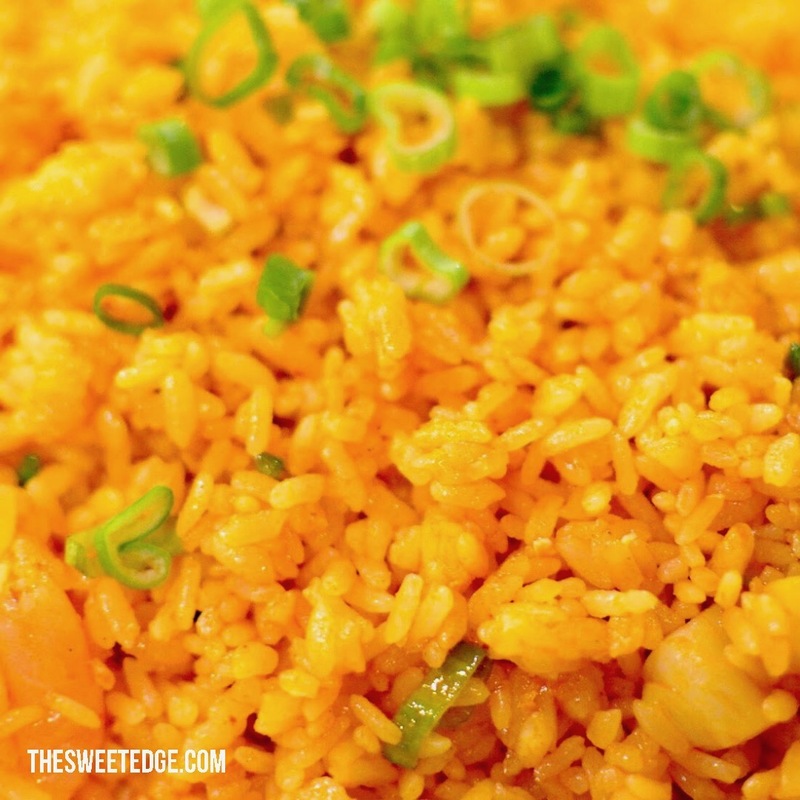 Eating as a very sensory experience, just like the preparation of food. Some dishes are meant to be eaten with the help of cutlery, while others are meant to be enjoyed with your bare hands. There aren’t too many restaurants that encourage you to have in with your food and eat with your hands. The Captain’s Boil is one of those few places where you actually have to request for cutlery. 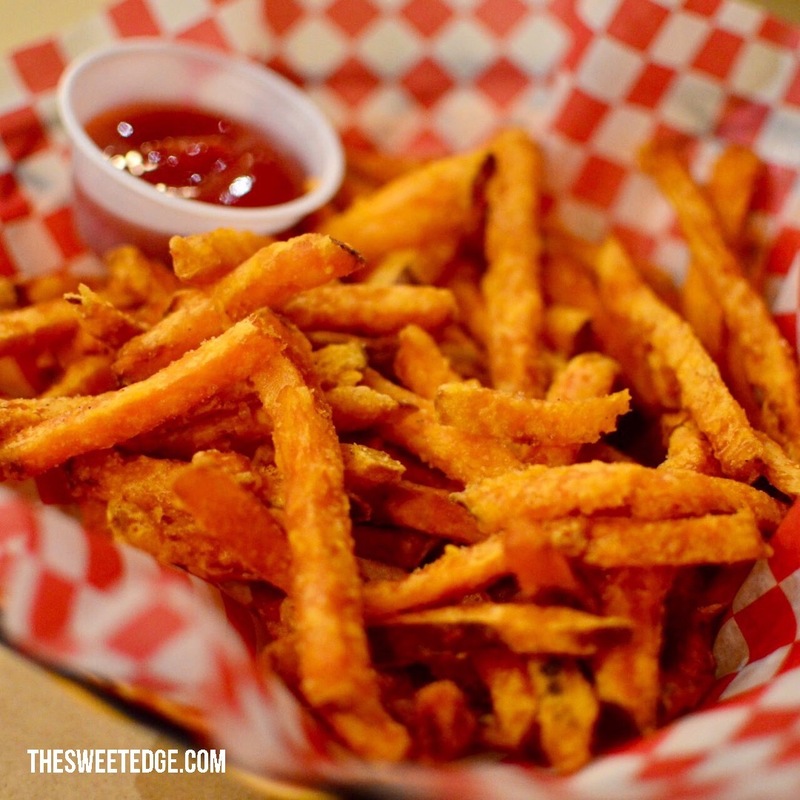 The Captain’s Boil is a Canadian casual dining restaurant chain serving Cajun style dishes. Founded in 2015, it currently has 29 locations all across Canada: 6 in British Columbia, 2 in Alberta, 1 in Nova Scotia, 1 in Manitoba and 19 in Ontario. What can I say? Ontarians do love their Captain’s Boil. The Captain’s Boil forgoes the fanciness of having to eat with cutlery. In fact, they do away with plates and table settings too. After you’re seated, the servers will plonk down a sheet of brown paper to cover the table. They’ll take your order, and hand out plastic gloves and a bib. If it’s your first time, you’ll soon discover why. 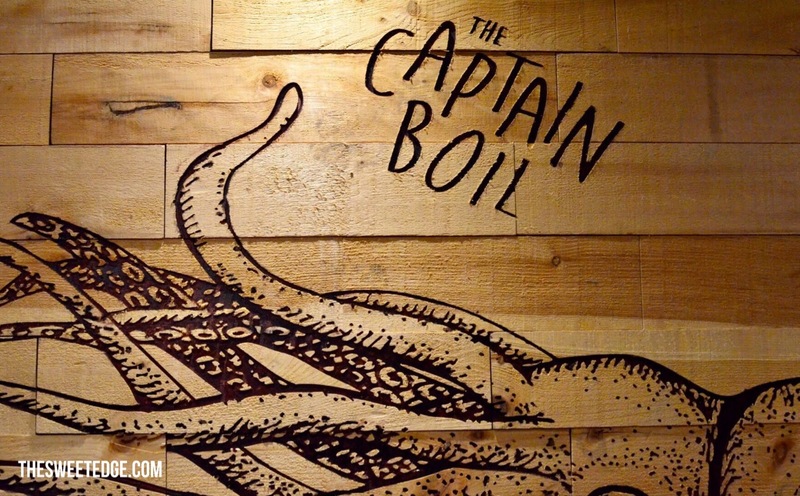 Everything at The Captain’s Boil is meant to be eaten with your hands. If you’re not used to it, you can always ask for cutlery. Which is of the flimsy, plastic variety. The food is served in plastic bags. It’s not cooked in the bags, but the servers will drop the bags on the table. Let it cool for a bit, then dig right in. I recommend using your bare hands (after washing them throughly, of course). Adds to the fun, for sure. There’s a LOT to try during a visit at The Captain’s Boil. I tried shrimp, mussels, Cajun seafood rice and some Cajun fries. 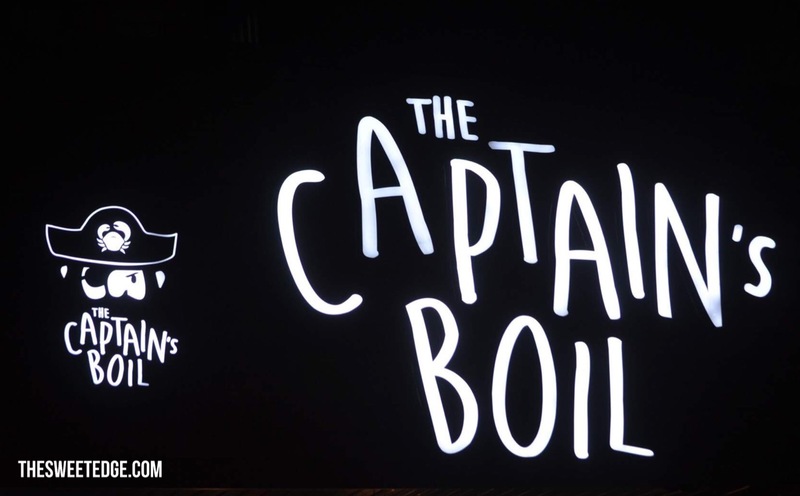 Here’s everything on the menu at The Captain’s Boil. Crawfish – crawfish are freshwater crustaceans smaller in size than lobsters. A staple in Cajun cuisine, crawfish are found in fresh water. Interesting tidbit about crawfish: Louisiana supplies 90% of the world’s crawfish (about 58,000 metric tons of the stuff). Crawfish are low in fat but high in protein, and are very easy to eat. Just take of the shell and voila! Lobster – Canadians love their lobster, and at The Captain’s Boil, tender lobster meat is served with their secret sauce. Dungeness Crab – Dungeness crabs can grow up to 20cm across, and is well known for its sweet and tender meat. It goes well with a side of corn! King Crab Legs – A visit to a seafood restaurant wouldn’t be complete without an order of King Crab legs. I always enjoy cracking crab legs open and savouring the tender meat inside. Snow Crab Legs – Snow Crabs are found in colder climates, and the meat is a wee bit different in texture from King Crab legs. They’re longer, and the shell is a lot softer too. 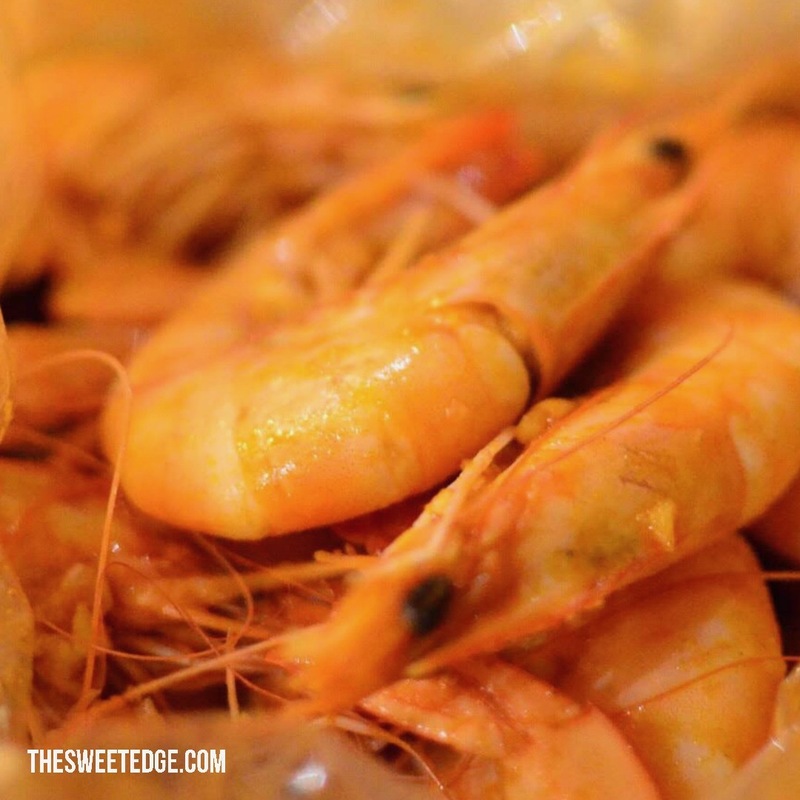 Shrimp – I definitely enjoyed the shrimp at The Captain’s Boil. Served with their secret sauce, you can remove the shells individually or all at the same time, for some uninterrupted eating. Clams – Opening each clam is an adventure in itself. Who knew a little bit of work could be so rewarding? 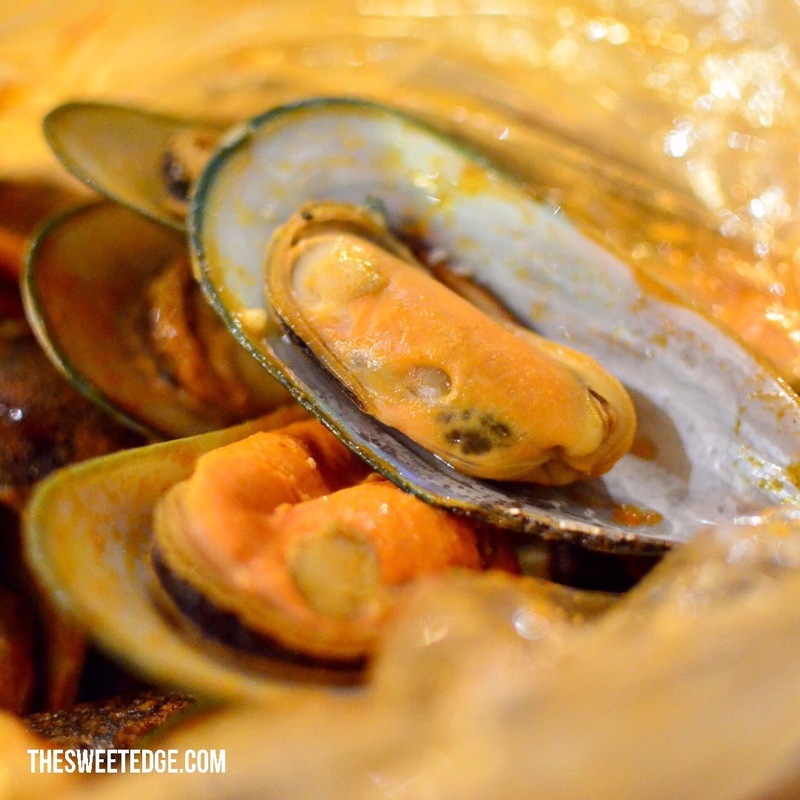 Mussels – I love the mussels. This shelled seafood is a real treat! Chicken slices – Even if you’re not a big fan of seafood, it doesn’t mean you can’t enjoy a visit to The Captain’s Boil. Aside from the seafood, there are other stuff you can order, like corn, okra, broccoli, sausage, potatoes and lotus root. I’m also a big fan of their French fries, Cajun fries, Yam fries, Cajun seafood rice, Fish and chips, Fried Shrimp Basket, Calamaris, Garlic Bread, Steamed rice, Fresh oyster platter, Fried chicken wings, wings and fries and chicken tenders. Acadians were French colonists who were settled in Nova Scotia, New Brunswick, Prince Edward Island and parts of Quebec in the 17th and 18th centuries, but were forced to relocate to the United States by the British in what became known as The Great Expulsion. It was the Spanish government that recruited Acadians to immigrate to the Spanish state of Luisiana, which was eventually renamed Louisiana after becoming part of the United States of America. Cajun cuisine is characterized by its simplicity, using locally available ingredients and prepared in the easiest way possible. 3A – 720 Burnhamthorpe Rd W.
205-230 Commerce Valley Dr E.
1324 D Centre St NE.